capable of smashing everything in its path. The mountains of North America are hit by thousands of avalanches every year. Yet one animal spends the whole winter slumbering within the snow on these avalanche-prone slopes. And when spring comes, they emerge. 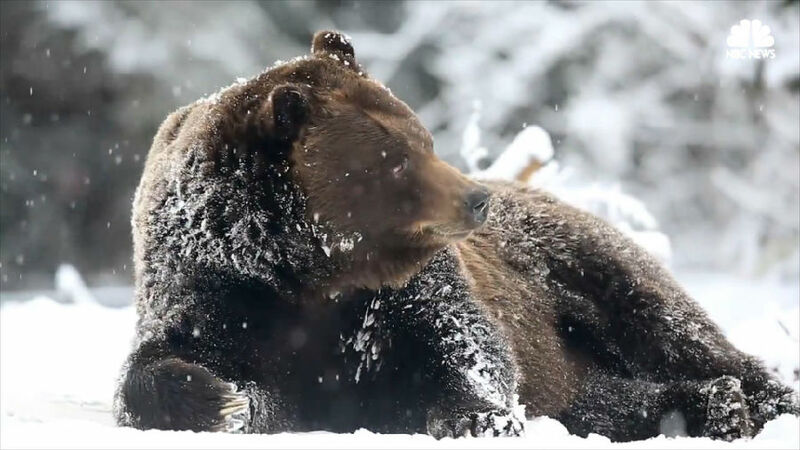 grizzly bears make their winter dens 10,000 feet up in the deep snow of leeward slopes. And while they were half-asleep in the depths of winter, their young were born. Now these cubs are taking their first steps into the outside world.